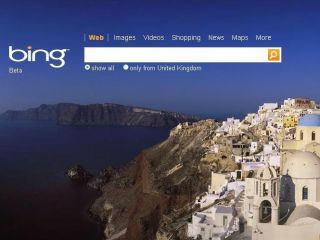 Microsoft has unveiled its television advert for Bing, suggesting that its new search engine means that search overload is 'officially over'. Bing in Microsoft's latest attempt to start grabbing some search audience back from Google – by far the most dominant search engine in the US and the UK. With Steve Ballmer telling the All Things Digital Conference that the marketing budget for Bing even made him gulp, the campaign is likely to be long and ubiquitous, although Microsoft in Britain will only start pushing the product when it comes out of beta in this country. The opening TV spot shows some of the favourite internet memes – suggesting that "we don't need queries and keywords if they bring back questions and confusion." "Staring today we need the right information to make the right decisions," continues the advert. "Decisions that help us feel right decisions that help us get to the right place at the right time." "Ladies and Gentlemen," the ad concludes, "it's time to 'bing' and decide."